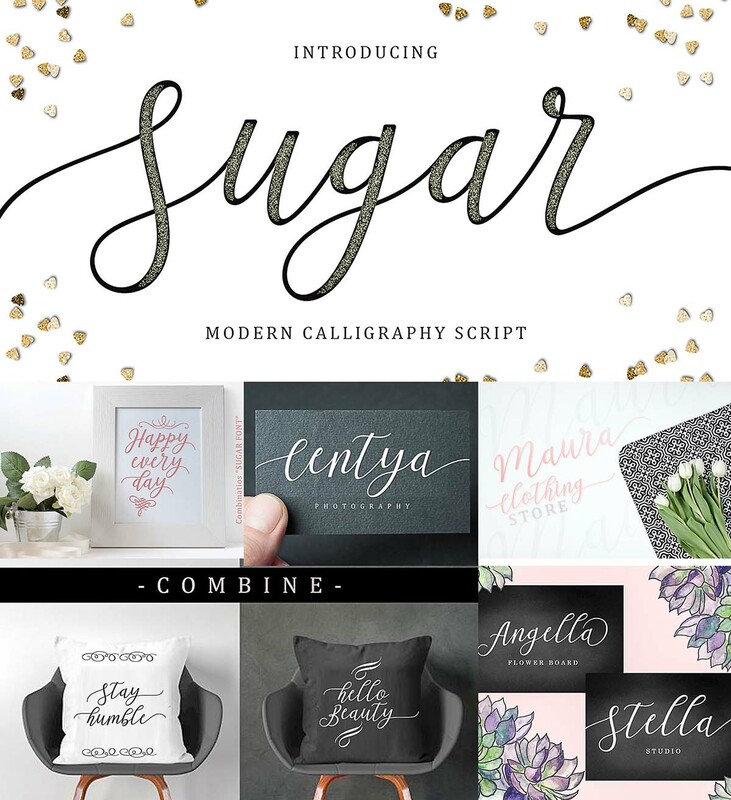 Introducing elegant script- Sugar. Perfect for wedding invitations, posters, ads etc. Tags: calligraphy script, elegant font, modern calligraphy, wedding font.